Editor's note: Buzz Aldrin, best known for his Apollo 11 moonwalk, holds a doctoral degree in astronautics and, at the age of 83, continues to wield influence as an international advocate of space science and planetary exploration. Aldrin’s new book "Mission to Mars: My Vision for Space Exploration," co-authored with space journalist Leonard David, is a blueprint and strategy for American-led presence of human beings from Earth on the Red Planet Mars. He is on Twitter at @therealbuzz. We need to get the world excited again about space exploration and have the pioneering spirit to reach beyond our boundaries and current capabilities. I want a new generation of space explorers to feel as I did when it was my privilege to take part in the Apollo program that landed the first humans on the surface of the Moon. This is important, not only for the USA but for the rest of the world. 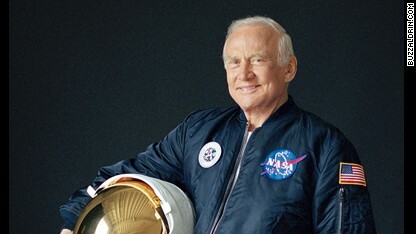 Buzz Aldrin's new book is called "Mission to Mars: My Vision for Space Exploration."